Just like that, I'm resuming posts today. Just like that. Coz it ain't the end of the road if you don't post for a while (although i seriously need to try staying true to the blog name). Kinda like how it ain't really the end in this pic. How would you picture one end of the earth, had it such a thing? I see vehicles waiting to cross over to the what lies beyond the void. There's even a commercial vehicle waiting to transport larger loads, like that piano you love. 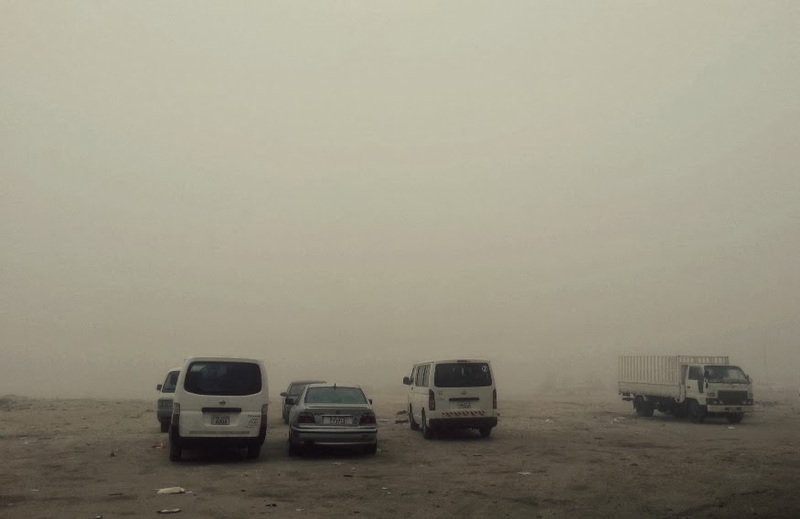 But you could also just look at them as cars parked in a barren open space on a foggy day. End of the world it is.